We all know that Aliens Love Underpants but what else do they love? Join us as our five favourite underpants loving aliens star in a series of silly, catchy songs about their other great loves. Did you know that their favourite food is Cupcakes (with slime), they love to talk Gobbledygook and they have the most amazing dance routine to go with The Underpants Dance! Fun simple lyrics, catchy tunes and some funky moves will have the kids hitting the repeat button again and again. 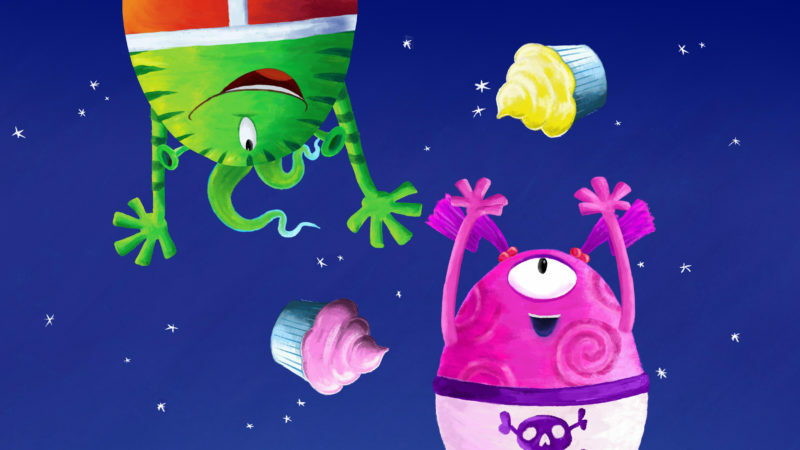 Aimed at a pre-school audience, The Aliens Love Underpants AND… series is based on the award winning, much loved children’s publishing phenomenon Aliens Love Underpants by Claire Freedman and Ben Cort.